Demotivated at your lack of progress with Italian? 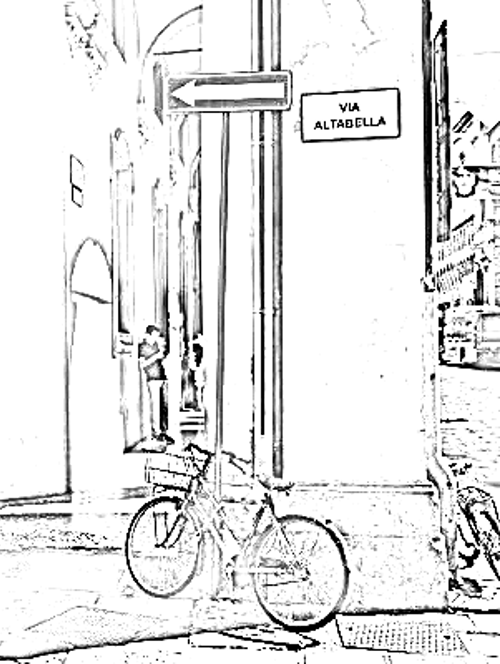 You are here: Home / News from Madrelingua Italian Language School / Demotivated at your lack of progress with Italian? Learning a new foreign language, such as Italian, is exciting at first. You begin with boundless enthusiasm, full of good intentions. Your Italian course, or self-study program, is stimulating and enjoyable. Each new learning experience reinforces your determination to make progress. And then, suddenly, it all starts to seeem like an impossible task! The progress you’ve made is dwarfed by what still lies ahead. Already you seem to be forgetting what you’ve already studied faster than you can remember the new lessons. It’s as if each step forward comes at the cost of two steps back! It feels like you’ve ‘hit a wall’ in your learning. A wall that brings your progress to a dead stop, and prevents you from moving forward. If that happens to you, you’ll recognise how your enthusiasm plummets compared to what it was before. Learning Italian becomes a chore not a pleasure. It’s increasingly hard to motivate yourself to study. You might even give up completely. Sadly, lots of people do. Perhaps you weren’t meant to speak a foreign language? Could it be you ‘don’t have the right sort of brain’? Maybe you should just chalk it up to experience? Go find an easier, less ambitious pastime? If this ‘language-learning’ wall sounds familiar, know that you’re in good company! Everyone (or at least, a lot of people) go through this. Even people who have already mastered other foreign languages. Even language teachers. Know also that there ARE things you can do which will help you get back on track. But first of all, you need to reassure yourself that there’s probably nothing wrong with your brain. You’re not incapable, or doomed to failure. You have just as good a chance of learning Italian as anyone. Later though, the more you study, the more there will be to remember. So when you focus on something new, the things you’ve already studied start to slide out of reach. A ‘beginner’ mindset is great when you’re just starting out and know little or nothing of the language. But it’s not easy to maintain as your study becomes more routine. To continue making progress with your Italian requires sustained effort in the medium-term. Months not weeks. Years even. So you’ll absolutely need to adopt a slower, more regular pace. Planning in progress tests and reviews will help you see just how much you’ve achieved, so countering those negative feelings of de-motivation. Giving yourself time off can work too. Like a ‘break-day’ on a diet. Above all, don’t expect too much, too soon. Successful language learners are distance runners, not sprinters! OK, so you’re now thinking medium-term and you’ve set a pace that you’re sure you’ll be able to maintain. But what if things are STILL not working out? Could be you’re ‘stuck’ on a particular area of grammar, or your dedicated study of new Italian words is no-longer bearing fruit. You’re putting in the work, but you’re not seeing the growth in your Italian that you have come to expect. Likely then, something is wrong. For example, perhaps your choice of what to study is inappropriate for the stage you’ve reached? What you did before got you this far. But it might be the wrong thing to allow you to progress to the next stage. Or perhaps you’re not doing anything actively wrong, just not doing some of the obviously right things? Are you including regular review activities? Are you consolidating what you’ve studied with reading and listening practice activities? If you’re an inexperienced language learner, it’s possible your Italian study plan includes activities which add little value. Eliminating those, and replacing them with more appropriate alternatives, may be enough to speed up your progress! To break through the wall, shake things up a little and see what happens. Vary your mix of study activities. Then observe what works for you, and what doesn’t. For example, perhaps a change of emphasis would help? Why not put away the grammar book for a while and try working on a simplified audio book? Or sign up for an Italian course, and so let the teacher take the strain when it comes to deciding what to next. Syllabus design and lesson-planning are what language teachers get paid for, after all. Conversely, if you’re already doing a course, but feel it isn’t working out, why not take on some more of the responsibility for your learning, rather than leaving every decision to the teacher? You could, for instance, draw up a self-study plan to supplement what you’re doing on the course. In short, if what you’ve tried isn’t working any more, don’t give up – try a different way! ‘Hitting the wall’ is a common experience for learners of Italian, but breaking through that wall is absolutely possible. Think medium-term, have realistic expectations, and above all, keep trying out different language-learning activities and approaches until you find a combination that works to drive you forward! Daniel, such good advice. I beat myself all the time for not studying harder but I have found one secret — I do at least a little something every day and I vary it a lot. I listen to a little news every day, I read the comments of Italian friends on my FB, I keep a spreadsheet open and am always entering new words and sayings. Today, for example, it was “fai da te,” or self-made, and I am reading at least a few pages of simple books and plays pretty regularly, like twice a week or more. I always click on the Madrelingua listening lessons, hear them once without reading then the second time while reading. I do this even if I am in a hurry. I make it mandatory and not optional when going through my email. It’s a scattered, undisciplined approach but 20 or 30 minutes every day at least keeps me from slipping too far backwards. Thanks for your encouraging messages.